As I give my thanks for being an American, I want to give special thanks to all our Veterans. It is because of their courage and strength that we are able to celebrate Independence Day every year. They are our unsung heroes, the men and women who are willing to lay down their lives to guard our tomorrows. To some, our Veterans are faceless silhouettes casting a broad shadow over enemy terrain. “No one I know,” they shrug as they go about their business; never thinking twice about the sacrifices these men and women make on a daily basis. 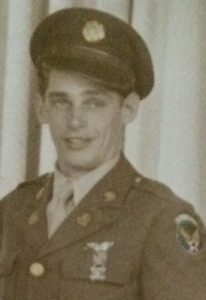 My dad, Joe, who is 92 years old, served in the United States Air Force as a glider pilot during World War II. He was a young kid fresh out of Henry Ford Trade School when he answered the call to arms the day Pearl Harbor was bombed. On this special day that we celebrate our freedom, I would like to share a poem written by a man who lost his leg and endured 52 surgeries to put his war riddled body back together. His name is Patrick C. Ward – United States Navy. The poem is called Shipmates. The Navy would be home. A pride my family’s shown. When my country summoned me. It’s the face of liberty, of freedom and much more. All look good, but not as good, as our flag’s red white and blue. As they guard the Seven Seas. A prayer that ends with “please”. Guarding our tomorrows, and our dreams to be. Then let the storms prevail. And sailors yet to be.